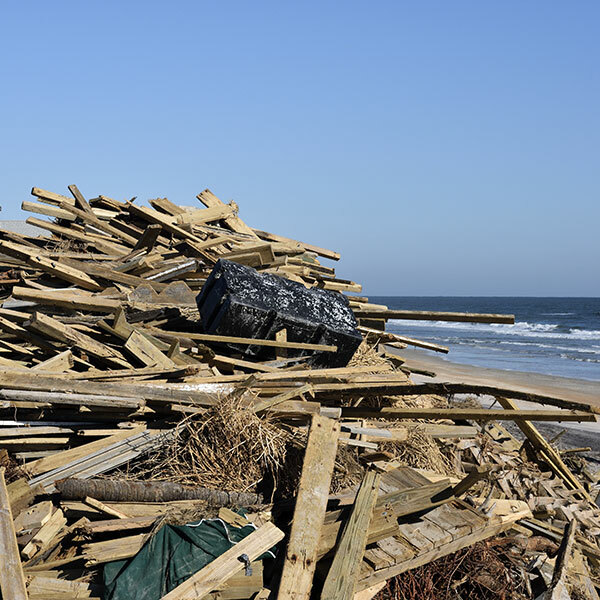 Immediately after a disaster, the desire for life to return to normal as quickly as possible often results in a rapid clean-up and consolidation process. The consolidated debris represent an environmental liability that often needs to be ground and/or trucked to a landfill. The majority of material can often be converted or eliminated right at the centralized locations, after pick-up, using our ENVIROSAVER™ and CARBONATOR™ model carbonizers. Local, State and Federal agencies can reduce costs substantially by using our systems to convert or even eliminate disaster debris. ROI’s air curtain burners provide an environmentally-sound solution by converting a waste stream into a revenue-generating product while utilizing ROI’s carbon negative process to convert their disaster debris into biochar.